These are my favorite "Christmas cookies" and I usually end up making at least a double batch or more before the season is over. In a lg. bowl combine first 4 ingredients with mixer. Stir in walnuts and flour. Roll dough into 1 inch balls; place 1 in. apart on un-greased cookie sheet. Bake at 350 degrees for 8 - 10 minutes until firm to touch but not brown. Do not over bake. 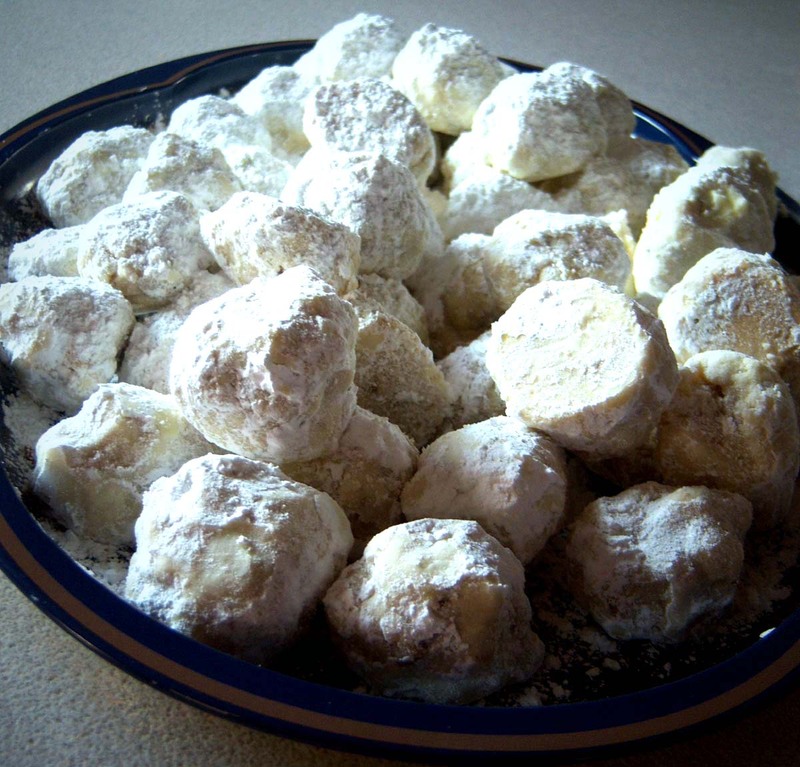 While warm, roll in powdered sugar. 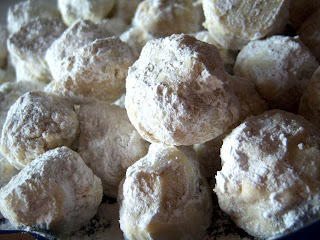 Cool; re-roll in powdered sugar before serving. One of my favorites. We call them Mexican cakes and made dozens for my wedding. We make a pink star flower on the top of each one. Oh yum! I love these and haven't made them for some long. (My dd is allergic to nuts) Enjoy one for me!